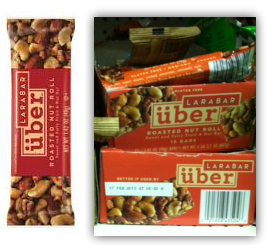 Larabar Uber Bars Only $0.63 w/ Coupon! Hopefully your local Dollar Tree carries this product. If so, you can get a good deal! Final price only $0.63 each!